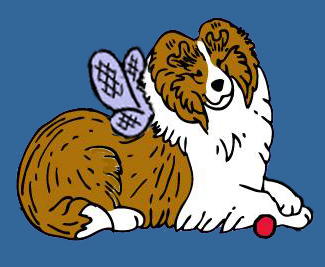 Sheltie Nation | When does the game start? Posted by Ken on Feb 03, 2019. Mercedes and Merlot are waiting for the Superbowl snacks! What a couple of fluffy loungers! Mercedes and Merlot… LOVE those names!! Yes, indeed, perfectly coiffed shelties! It’s nice to see that I am not the only one with a leather dog bed. We also have a kingsize dog bed and a chair and a half that is the swivel dog bed. I somehow think that we are not alone. I cannot believe how much these dogs look alike. 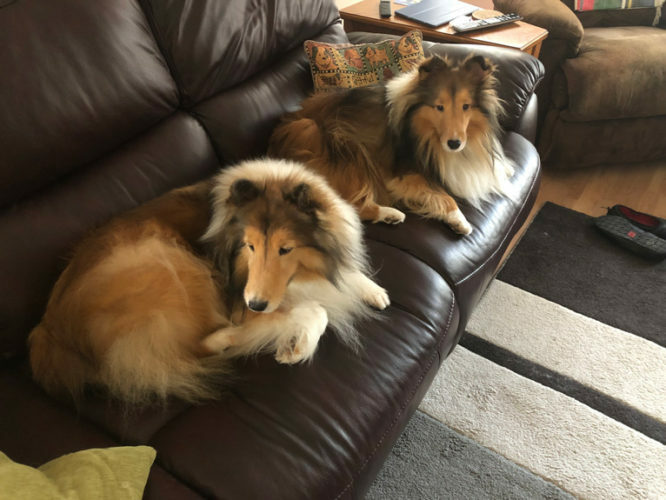 I have two shelties that look almost identical to these ones. Love them so much.They are super super dogs. So loving, so beautiful and so much fun. Just precious!